The well-established business ‘Nut Roasters’ has been family owned and operated for more than 3 generations. Known for their impurity free and hand roasted nuts, I decided to feature their unique roasting technique in a handcrafted identity. 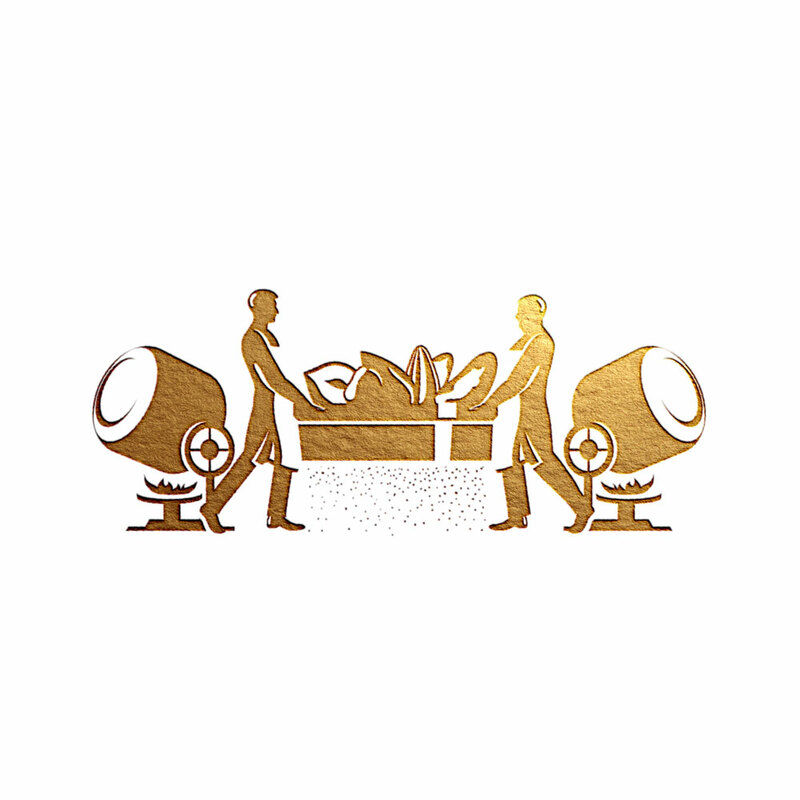 To do this I created a crest featuring father and son next to the roasting ovens and hand-sieving their products. Since red and gold have been the brand colours for many years I have maintained these to ensure a link between the new and the old packaging. I have created this project as a part of Boxer & Co.